Agreements were signed today in Bishkek between the Kyrgyz Government and the Czech company Liglass Trading CZ, SRO on the construction, commissioning and operation of the Akbulun HPP and Naryn HPP-1 of the Upper-Naryn cascade of hydropower plants, as well as the implementation of the Construction of small hydroelectric power stations in the Kyrgyz Republic project. Agreements were signed today in Bishkek between the Kyrgyz Government and the Czech company Liglass Trading CZ, SRO on the construction, commissioning and operation of the Akbulun HPP and Naryn HPP-1 of the Upper-Naryn cascade of hydropower plants, as well as the implementation of the Construction of small hydroelectric power stations in the Kyrgyz Republic project. 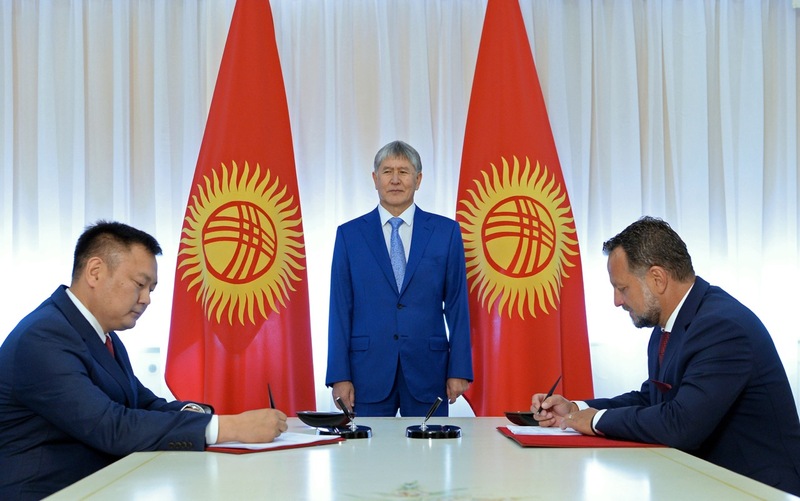 The signing ceremony took place with the participation of Kyrgyz President Almazbek Atambayev. 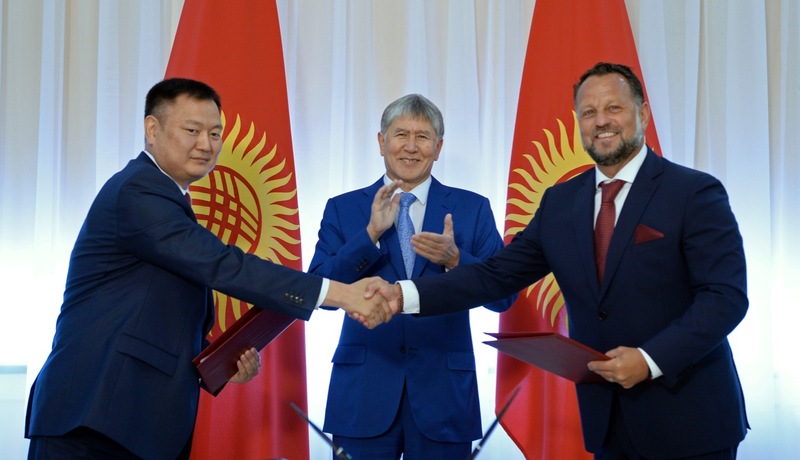 The agreements were signed between the government in the person of Chairman of the State Committee of Industry, Energy and Subsoil Use of the Kyrgyz Republic Duishenbek Zilaliev and director of Liglass Trading CZ, SRO Michael Smelik, the President's press service reported. The document on the construction of small hydropower plants in the country provides for financing, development of feasibility studies, construction, commissioning and operation of small hydroelectric power plants such as Orto-Tokoy-1, Orto-Tokoy-2, Papan, Chon-Aksuu, Kirovskaya, Kara-Suu Left-1, Karasuu-Left-2 until December 30, 2019, as well as construction and commissioning of small hydropower plants Sandyk-1, Sandyk-2 and Sandyk-3 at the end of 2020 of the year. The investment agreement on the construction, commissioning and operation of the Akbulun HPP and Naryn HPP-1 of the Upper-Naryn cascade of hydropower plants in the Kyrgyz Republic provides for payment of US $ 37 million to the authorized capital of Upper-Naryn Czech company to start the transfer of 50 % shares of Upper-Naryn HPPs CJSC to Liglass Trading CZ, SRO.. Atambayev said that the coming of large private investments from Europe will serve as a powerful signal for potential investors from all over the world, confirming Kyrgyzstan's readiness to create all necessary conditions for doing business and effective implementation of mutually beneficial joint projects.